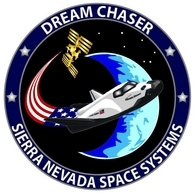 Chase Your Dreams: Join Sierra Nevada Corporation in creating the Next Generation Human Spacecraft! Interns will work with a designated mentor or team to gain a thorough understanding of the career field of interest to include theory and practical application of obtained knowledge. The intern will benefit from mentoring, coaching, and side-by-side work with knowledgable and experienced experts in the field. The objective is real, hands-on work assignments related to intern’s major, providing them with skills vitally important in today’s business environment. Those interested in employment following an internship will be considered based on current a openings, performance during internship, and proximity to graduation.